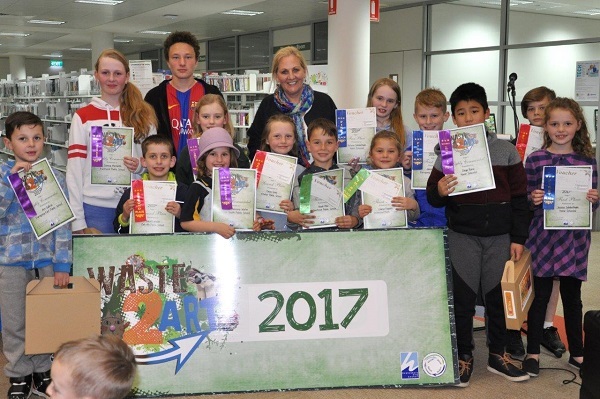 Hawkesbury City Council is proud to announce the winners of the 2017 Waste 2 Art Competition. 15 talented students won prizes that included art hampers and gift vouchers from a local art store. Council received 170 entries for its annual Waste 2 Art Competition. The Waste 2 Art Competition is an opportunity for primary school students to give waste a new purpose by transforming it into a creative piece of artwork, which encourages students to reduce, reuse and recycle. The Waste 2 Art entries are being exhibited throughout Local Government Week, 31 July – 6 August, at Hawkesbury Central Library, 300 George St, Windsor.